Today is the 9th anniversary of the founding of the OpenNebula open source project. We still remember the early days of OpenNebula, when we decided to start an open-source project to grow, distribute and support the software prototypes that we developed to support our research in virtualization management on distributed infrastructures. Yet here we are, nine years later, with one of the most successful projects in the open cloud ecosystem. OpenNebula has grown into a widely-used user-driven project, with lots of examples of production use in academia, research and industry, over 100K downloads from the project repositories in the last year, more than 1,500 clouds connected to our marketplace, and large-scale infrastructures with tens of data centers and hundreds of thousands of cores. We are very proud of this growth as the only fully-open enterprise-ready management platform to build clouds. None of it would be possible without your help, the hard work of thousands of users and contributors! https://opennebula.org/wp-content/uploads/2018/11/opennebula_cloud_logo_white_bg-4.png 0 0 Ignacio M. Llorente https://opennebula.org/wp-content/uploads/2018/11/opennebula_cloud_logo_white_bg-4.png Ignacio M. Llorente2016-11-30 20:27:442016-11-30 20:27:449 Years of OpenNebula! Learn what kept the OpenNebula team busy this last month of November, the project activity, latest news, advances in the technology, community work and the dissemination efforts carried out. We are looking for Cloud Developers and a Community Specialist to join our team, check this for more details. …and many more features related with Sunstone, Database, upgrade path and more OpenNebula subsystems. We are working to make OpenNebula 5.4 the most useful and robust OpenNebula release to date! OpenNebula now allows to upload, clone and delete VMDK files. VM importing workflow has been greatly improved through Sunstone, making it easier to import your existing workload into OpenNebula. Resource pools defined in vCenter are supported by OpenNebula so available memory and CPU can be partitioned. 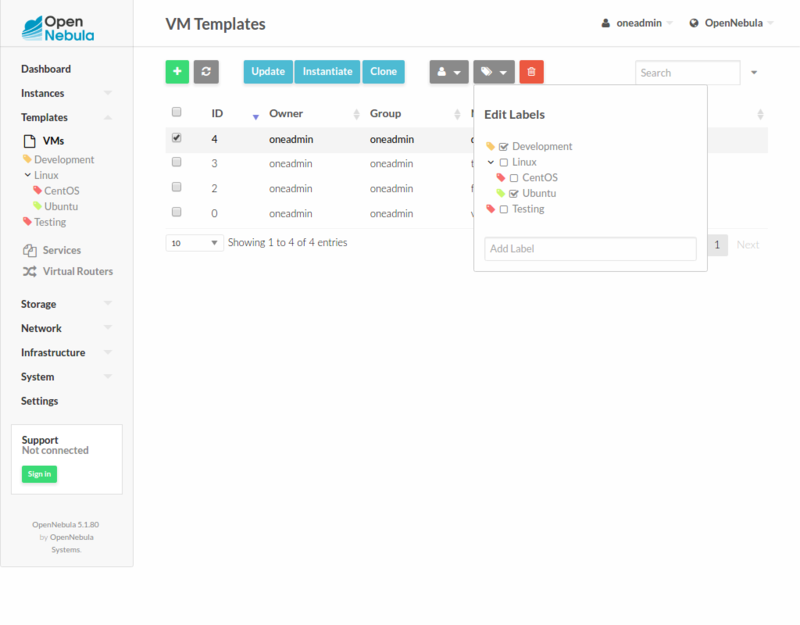 When launching a VM from OpenNebula, a resource pool can be selected automatically or the user can choose one. When a VM is instantiated from a VM Template, the datastore associated can be chosen. If DRS is enabled, then vCenter will pick the optimal Datastore to deploy the VM. After the Conference hangover (both literally and figuratively), the community has been as active as ever. We are restructuring the OpenNebula add-ons to keep track of those add-ons that are not longer maintained and we discourage the use of. If you are an add-on maintainer, give us a shot in the forum so we know about it. As we always emphasize, it is very encouraging and important for an open source project to receive messages publicly like this. Excellent summaries about OpenNebula, like the one that we recommend reading in this blog post, are a great way to spread the OpenNebula word. Kudos! OpenNebula is a free and open source software solution for building clouds and for data centre virtualisation. It is based on open technologies and is distributed under the Apache License 2. OpenNebula has features for scalability, integration, security and accounting. It offers cloud users and administrators a choice of interfaces. Another, and even more important, effort by our users can be seen in this blog post by Fuze, detailing their production use of OpenNebula and how it powers the infrastructure that boost their business. We are immensely proud and grateful for this information guys! Currently, Fuze Private Cloud has a central OpenNebula deployment in a data center in the eastern part of the US. 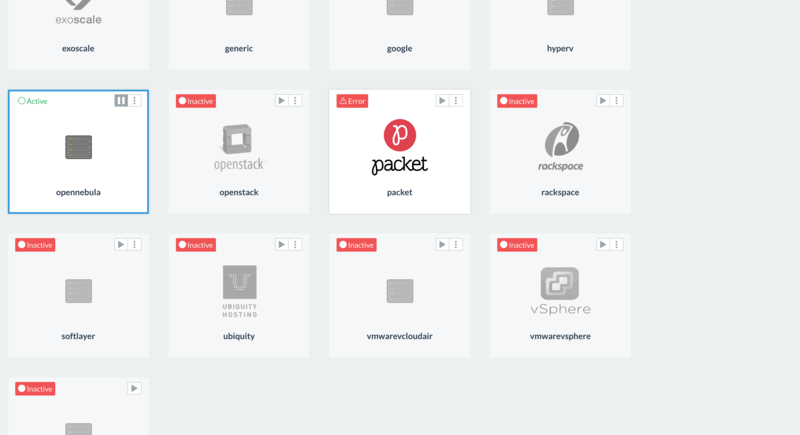 This fault tolerant OpenNebula deployment is configured to connect and manage Fuze data centers across US East/ West, Australia, Asia, and Europe. By the way, we are taking care of the infrastructure that runs our web page, development portal, marketplace … we appreciate your patience. If you notice anything strange, let us know. The OpenNebulaConf 2016 has been a real success with awesome keynotes including usage of OpenNebula in Akamai and Telefonica. Also, it featured high quality tutorials and excellent workshops, which were very well received, as were the first day tutorials. Make sure that you attend next year to either the basic or the advanced one, they are a real bonus of the conference! To sweeten your way to next year’s Conference, and to recap the contents of the different keynotes and lightning talks, we published a post with the material of 2016 OpenNebulaConf. Check out the YouTube channel, download the slides from the slideshare account or take a look to the pictures of the conference. Enjoy. We will also be defining shortly the TechDays for 2017. Stay tuned if you are interested to host an OpenNebula event! A couple of weeks ago, we celebrated OpenNebulaConf 2016, three days packed with interesting talks and great experiences exchange. It was a great success thanks to the support and participation of all of our community members, speakers, sponsors and friends. If you missed the conference, now you have a chance to watch the talks in our YouTube channel, download the slides from the slideshare account or take a look to the pictures of the conference. Enjoy. A year ago OpenNebula Systems published the VMware Cloud Reference Architecture, a blueprint to guide IT architects, consultants, administrators and field practitioners in the design and deployment of public and private clouds based on OpenNebula on top of VMware vCenter. This reference architecture is intended for organizations with existing VMware environments or expertise who want to limit changes to their underlying VMware infrastructure, but see benefits in a common provisioning layer via OpenNebula to control compute workloads and want to take a step toward liberating their stack from vendor lock-in. New disks can be hot-plugged and OpenNebula can be informed from erasing the VM disks if a shutdown or cancel operation is applied to a VM, so users won’t lose data accidentally. Support for vCenter customization specifications, as a complementary alternative to contextualization. Multi vCenter cluster can be now defined in a single VM Template definition. Control how disks are managed in vCenter, through the KEEPS_DISKS_ON_DONE template variable which will help you to protect users data against accidental deletions. Datastores in a Storage DRS can be used as individual datastores by OpenNebula. A bandwidth limit per VM network interface can be applied. VM’s network usage information is now gathered from vCenter. It’s possible to access the OneGate server from vCenter VMs since the onegate token is passed through to the VM. And last but not least, cool features added to Sunstone: a smoother vCenter’s resource import, the Cloud View functionality has been extended, new tags for resources. This blueprint has been created from the collective information and experiences from hundreds of users and cloud client engagements so your feedback is extremely valuable. More features are continuously being added, OpenNebula is a project in constant evolution, so stay tuned and do not forget to send us your feedback! Fuze, headquartered in Cambridge, MA with additional locations in North America, Europe, Asia and Australia, is a global, cloud-based unified communications platform that empowers productivity and delivers insights across the enterprise through a single unified voice, video, and messaging application. Fuze allows the modern, mobile workforce to seamlessly communicate anytime, anywhere, across any device. With Fuze, customers have a single global carrier network leveraging a resilient private cloud infrastructure and QoS-engineered network to deliver the best enterprise-class IP PBX voice service available. Given the company’s record momentum and growth, scaling the private cloud infrastructure to meet the global expansions and growth is a key to its customers’ satisfaction. In mid-2015, we deployed OpenNebula as part of the Fuze Private Cloud Management Stack to achieve a continuously reliable growing private cloud spanning Fuze global infrastructure. Simple and lightweight deployment and easily extendable being open source. Self-Serve capability through GUI (Sunstone), CLI and API. Multi-tenancy built-in providing segregation among internal workloads. Supporting Agile DevOps by abstracting underlying infrastructure and supporting mainstream hypervisors besides public cloud bursting. Automated VM Orchestration via contextualization that personalize instances on instantiation time. Service Orchestration provided by OneFlow and OneGate that support multi-tier applications using role based instances. Besides, OneFlow has the ability to apply auto-scaling and recovery rule support based on either generic or custom application attributes pushed via OneGate. VMware ESXi/vCenter 6.0 is the dominant virtualization technology used across its data centers backed by SAN-based storage and we also use Amazon Web Services. OpenNebula leverages the SOAP API offered by each DC vCenter to manage the entire global cloud infrastructure and present it to the different engineering teams as an effective single orchestration pane of glass. In addition, we connected OpenNebula to a few AWS Virtual Private Cloud (VPCs) with dedicated tenancy that it bursts into where applicable. We are currently running OpenNebula 5.0 which brought in enhanced user experience through Sunstone and renamed lifecycle states along a redesigned Marketplace. We will upgrade to OpenNebula 5.2 soon to make use of the upgraded hybrid cloud drivers. Overall, the OpenNebula project has taken Fuze Global Private Cloud to the next level and continues to be a fundamental factor for continuous innovation and customer satisfaction. The OpenNebula project activity this last month including the latest news, advances in the technology, the excellent community work and the dissemination efforts carried out. The OpenNebulaConf 2016 happened this last week, and has been a total success! We’ll be uploading the video recording, slides and nice pics soon, stay tuned! We are looking for Cloud Engineers and Developers, as well as a Community Specialist, to join our team, check this for more details. The team focus has now shifted to the next release, 5.4. Great functionality is planned, with an emphasis in vCenter integration. Expect great advances in this regard. Yes…we mean network management!. Also, full storage handling (non persistent images FTW!). Well, the community has been busy this month preparing their plane tickets and visit to Barcelona. It has been a blast at the Conf, and lots of interesting talks has shown us that OpenNebula is being used in amazing and crazy infrastructures around the world. We had the chance to host in our blog this quality post. This is an amazing work (thanks Marco! ), which introduces Rancher and show how to launch OpenNebula Virtual Machines from the Rancher UI and provision them to run Docker compute hosts, which can then be used to run Docker containers. The post also comes with a promise! That’s all, we will be back soon with another post about the integration of Rancher and OneFlow to deploy multi-tier services on OpenNebula clouds. Stay tuned! It is so good to know that old OpenNebula friends are also engaged in the community (like old but not forgotten OpenNebula contributors that showed up at the Conf)! For instance, Skymix is tinkering hard with OpenNebula with other technologies. It has been a pleasure! The OpenNebulaConf 2016 has been a real success, with awesome keynotes including usage of OpenNebula in Akamai and Telefonica, high quality tutorials and excellent workshops. We want to thank all the attendees, and especially the sponsors, for providing such a great atmosphere for the exchange of experiences, help to the newcomers and in general for being such a great community. It has been great to see you all, the team is looking forward to seeing you again next year! The Conf had an educational twist that has definitely pleased the attendees. The workshops were very well received, and we believe this is the direction that we want to give the Conf, as it gives an extra value for the attendees, which not only see real world examples of OpenNebula usage but learns how to use the software, and how to tweak it. The first day tutorials were also well received, make sure that you attend next year to either the basic or the advanced one, they are a real bonus of the conference. The OpenNebula team is growing at a fast pace. Are you looking to get into the cloud professionally? If you are looking to work in an agile environment to develop new features and integrations and participate in the upstream community, this is your chance. Check out the OpenNebula Systems vacancies if this is the case.